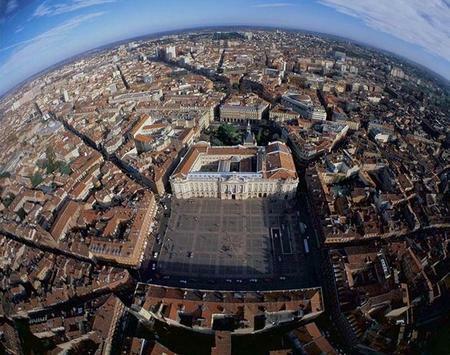 This is a picture of Place Capitole in Toulouse from the air. And here is a Quicktime VR 360 degree image from down on the square. Now, when are we going to see more live Quicktime VR for webcams? Should that really be that hard? Regular webcams are nice, but I'd love to drop in and visit the cities of the world in a 360 degree format, where I can turn around and zoom in, and see what is actually there now. Is it because the cameras are so expensive? Like, $28,000 for a camera that can do 360 degrees in one movement in 14 seconds. Can be done much cheaper of course. Actually there are a few live Quicktime VR cameras. Here's one of a beach in Australia. But not much. Today I am celebrating my hunasbd's birthday He would have been 37. He just recently died from an accidental overdose from prescription medication. He left me with a 13 year old a two and a half year old and a 10 month old. I just can't believe that he is gone. I miss him so much. He was my best friend and my soul mate. I thought I could handle anything that life would throw my way but I am weak when it comes to this. I have nothing without him. I am nothing without him. My youngest just started walking and I just watch her and see how much she has accomplished in the two months since he has been gone and see how he is missing the little things and he should be her with me to see and watch these babies grow up with me. I can't stand him being gone like this. I am so lonely and heartbroken. I miss his smile, I miss his touch, I miss his smell, I miss him so much. Every morning is the worst for me. I wake up and get the babies fed. Then come up to the computer to listen to music and stare at his pictures and cry my eyes out. I don't think I will ever get over this. How will I ever get past this. IF I could just hold him one more time or tell him I loved him more often would I still feel the way that I do? Or if I would have called the paramedics that evening when he was complaining of a back ache would he still be here?? I want the world to know that he was such a good man. He was the BEST!!!! He was the best father, friend, lover, hunasbd, provider anyone could have ever wanted or needed. I love him for that. I will never let him go.